HatTrick BIN #584: 17-18 The Cup with The Hitcoin Miner Bonus! The product for this box break will be a box of 17-18 The Cup which contains 1 pack per box, 5 cards per pack. The serial number of the box that will be opened is BB063091523. 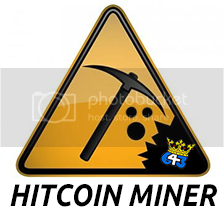 The Hitcoin Miner Bonus - For every team you purchase in this break, you will receive 1 HatTrick hitcoin. Hitcoins can be redeemed for cards, break slots, bidding credits, and boxes. Please see the Hitcoin Store on the forum for a list of items available to purchase and to see your hitcoin account balance. I will try and break live on Breakers TV on the 643boxbreaks.com channel (http://breakers.tv/643boxbreaks), the video will also be uploaded to YouTube and a link sent out for your viewing pleasure if you are unable to attend the live break. You can watch past breaks on the HatTrick YouTube channel here: HatTrick YouTube Channel.